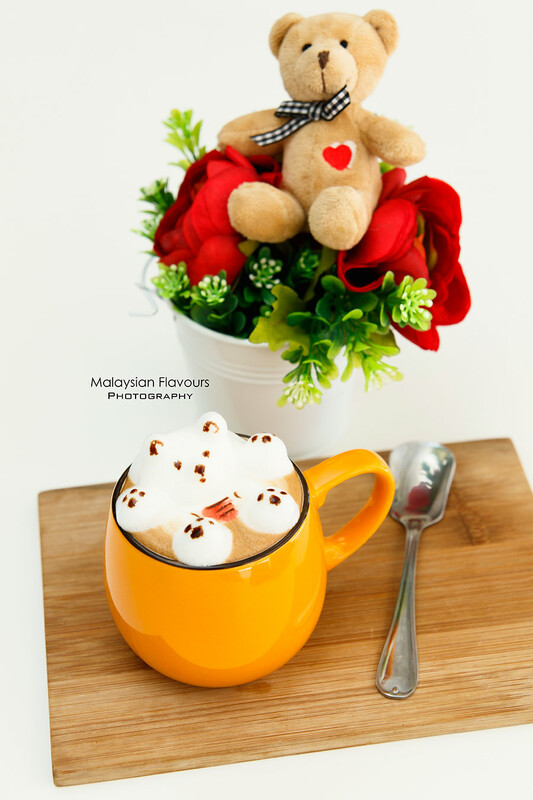 Flavourest Cafe at Zenith Corporate Park, SS7 Kelana Jaya, Petaling Jaya emerges quietly as a bear theme cafe, houses many cute bears of different sizes at every nook and cranny of the cafe. Must visit place if you loved bear. Even if not, Flavourest Cafe is worth a trip for their photography worthy coffee, dessert, food and environment. Zenith Corporate Park is one of the latest business centres in Kelana Jaya, surrounded by corporate offices, dining restaurants, condominiums and shopping mall. It can be said just behind Paradigm Mall, about 1KM drive from the mall. 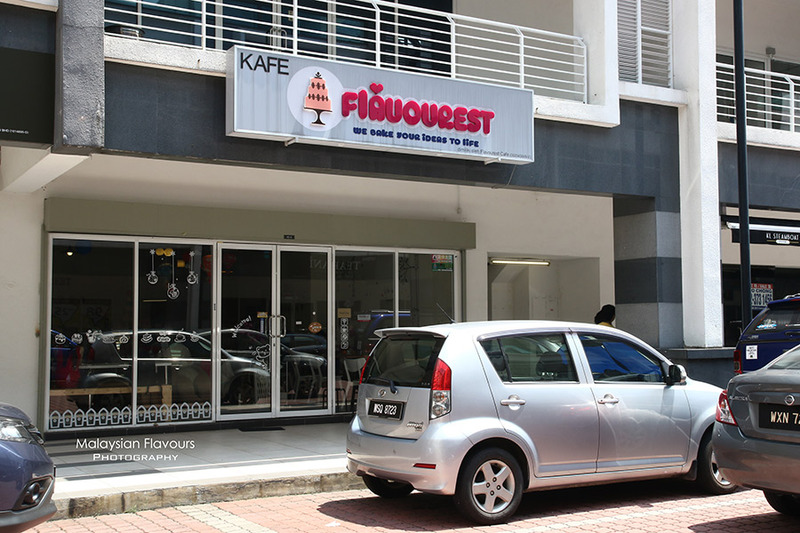 For Flavourest Cafe, it is situated same row with KL Steamboat Station, opposite to the famous Teaffani Catering and Paradise Group offices. Flavourest Cafe opening hours is 10AM to 9AM on weekdays, and 11AM to 10PM on weekends. Follow their Facebook status closely, as the cafe will sometimes closed for private events. The cafe serves breakfast like Scrambled Egg Croissant, Omelette and Big Breakfast from 9AM till 11AM. For all-day-dining, indulge into Flavourest Spaghetti in Bolognese, Carbonara, Aglio Olio, Tom Yam Seafood or Smoked Salmon flavours; Homemade Flavourest Burgers including Beef Burger, Chicken Burger and Rice Selections like Black Pepper Fish with Rice, Mushroom Sauce Chicken, Black Pepper Chicken. The three gigantic life-size teddy bears are Flavourest Cafe ‘s attention-grabber. Everyone here seems to love these super soft, comfy and cuddly plush toys. Like oversized, huggable pillow. Give them a hug and take photos with them! Decadent signature cake in Flavourest Cafe that makes us fall head over heels to. 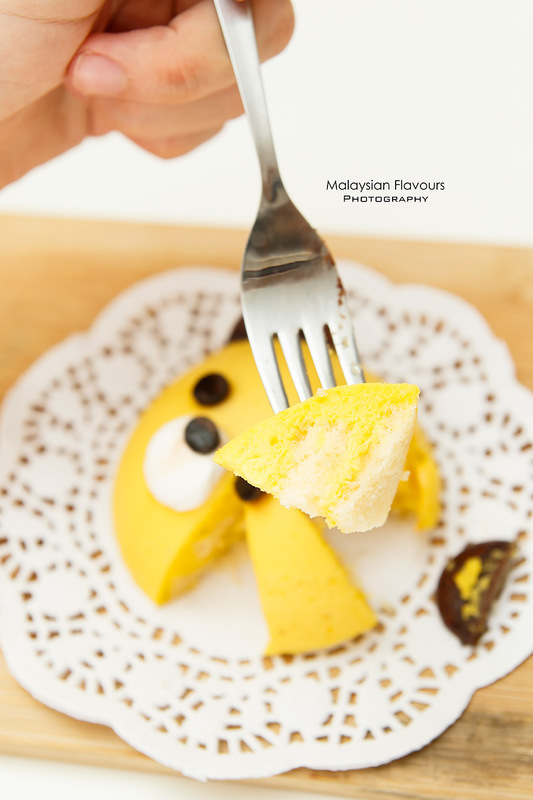 During our visit, there are only two flavours available – Mango Mousse Cake and Strawberry Mousse Cake. Expect to get other selections too on different days, such as Dark Chocolate Flavourest Bear Cake and Tiramisu Flavourest Bear Mousse Cake. With the tagline “We Bake Your Ideas to Life” and specializes in customized cakes, desserts in Flavourest Cafe will not only look nice, but delectable in taste too. 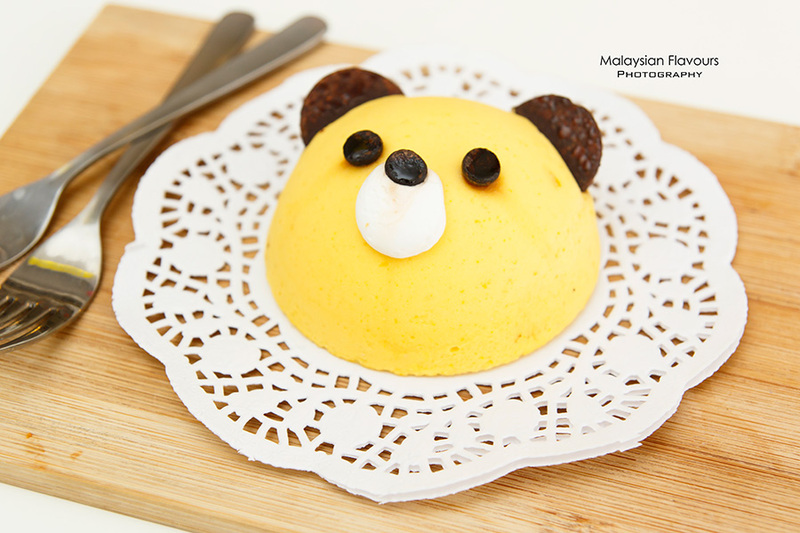 This bear-shape mango mousse cake delivers two layers of texture, spongy cake sectioned with custard-like mousse. Light and refreshing instead of creamy. 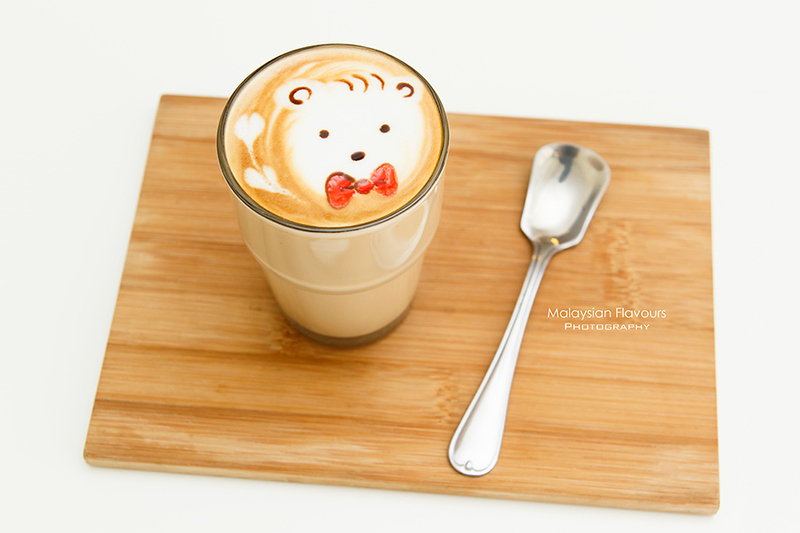 Not sure if bear latte art is applied to all coffee in Flavourest Cafe, but you may try your luck by asking or showing them pictures to avoid disappointed. Summergirl still prefers free-pour of rosseta, but can’t deny this little bear art draws smile to our face. Flat white is good, nutty sweet, balanced throughout. 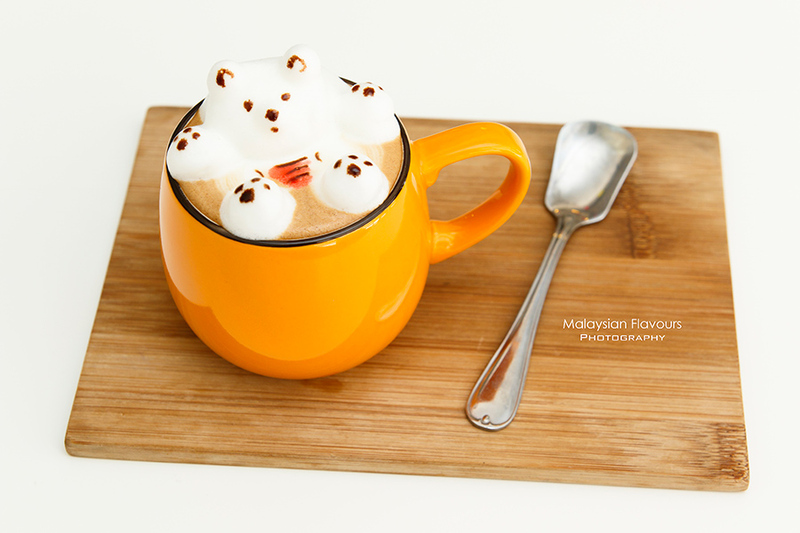 Never expect to get a 3D coffee art for our mocha. Big thanks to the passionate barista who still takes time to present the coffee in its most beautiful state despite the crowd. She is superb in handling customer orders, preparing & serving coffee, handling bills all alone, with the help of another staff who is polite, but needs more training. Americano, latte, cappuccino, flavoured latte, tea, milk, soft drink, ice lemon tea are also on Flavourest Cafe menu. 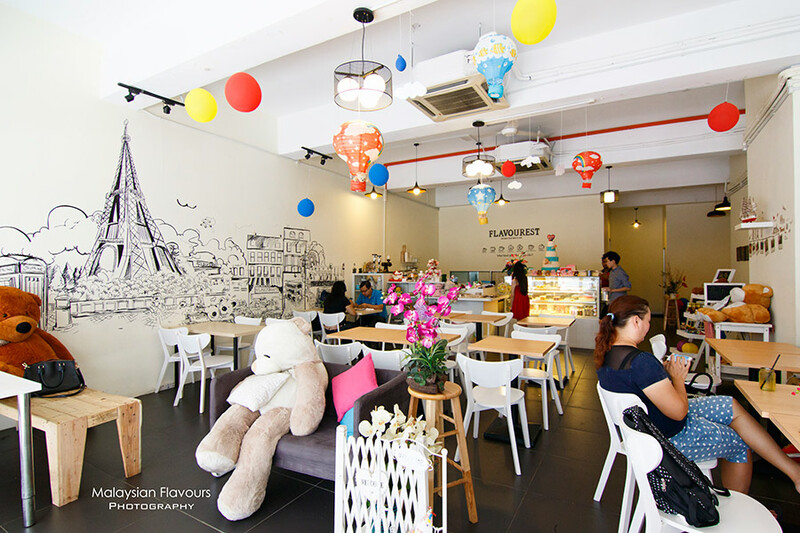 Comments : Flavourest Cafe is a cozy, charming place to hang out with friends and families. Bear lovers will like this place. Service is friendly, but due to lack of staffs issue, expect to wait when there is lots of customers. Food is reasonably priced too, all below RM20. You may take LRT to Kelana Jaya Station, and take a cab to our cafe from there. It would only take 10mins from LRT station. 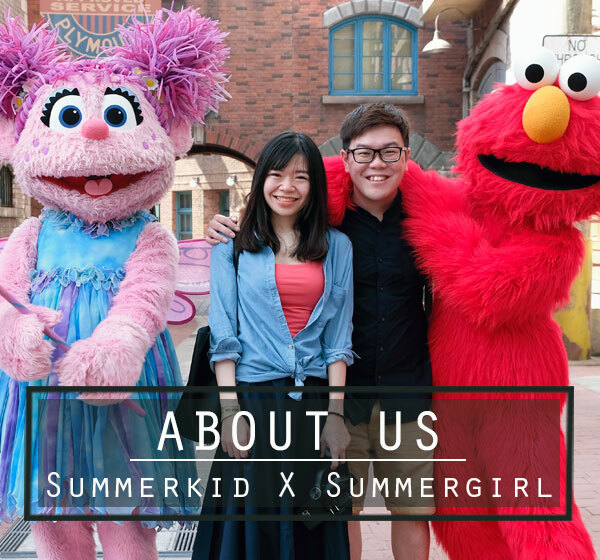 Again thank you for visit our shop , many of customers visit our shop after saw ur blog, thank you ?